What goes on behind the scenes of an appraisal? One of our most frequent questions is how an appraisal works. And the truth is, that it differs from each company and each appraiser. Some appraisers like to work with the newest technology and programs; others prefer long-trusted equipment and face-to-face.Whichever way an appraiser likes to work, we all try our best to get the most accurate measurements. For an appraisal, value is based on many things. From how many bedrooms, to the state of the land, etc. and one of the best-defined ways of considering value is also by space which means everything needs to be measured. In fact, many records of the house will state spaces that are incorrect due to any number of things. These sizes will need to be updated accordingly for the value to reflect correctly. Also, many homeowners choose to make upgrades to their house after purchasing it, and these will need to be recorded as well. If an HVAC system has been replaced, if the lighting is old, if the foundation is off all of these things will be taken into account. Please keep in mind that many of these things may overlap with a house inspector, but are calculated and used differently. If you have questions about the appraisal report you received, or thing something was missed you are always more than welcome to bring any of these items up to your appraiser, however, not all of them may be addressed. They will be able to go over their report in detail with you, but it may not impact their decision. Likewise, you can hire a second appraiser to make sure the first was impartial and correct, though it isn’t necessary in most cases. 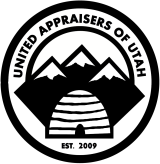 Being a certified appraiser means that the person or business must maintain impartiality. Appraisers are expected to be third-party evaluators and as such their documents are legal, trustworthy papers.